Lin is introduced in the first chapter as a young orphaned girl who resides in the village where Ken and Bat are jailed. While working as jailer, Ken befriends Lin, helps her recover her voice by pushing a power point, and later rescues her from Zeed gang. Lin follows Ken after he leaves her village, but she ends up being captured by the Golan commandos (Club's gang in the TV series), only to be rescued once again by Ken and from then, she accompanies Ken on his journey alongside Bat. 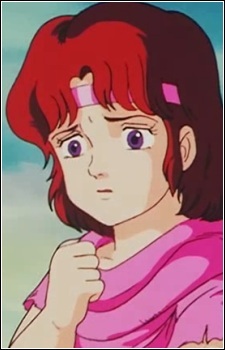 In the latter half of the series, Lin grows into womanhood and becomes leader of the Hokuto Army with Bat. At this point, she learns that she is the estranged twin sister of the Heavenly Empress Lui.